If you have a visitor that you need to Ban from using the chat widget you can do so following these instructions. This Ban only prevents the visitor from using the chat widget. It does not ban them from your website. 1. Go to the Options menu in the top right corner of the chat window. Click Details to bring up the Details Pane if it’s not already open. 2. Click Ban Visitor. Provide a reason for Banning the Visitor. Go to the Top of the Dashboard and click on Admin. 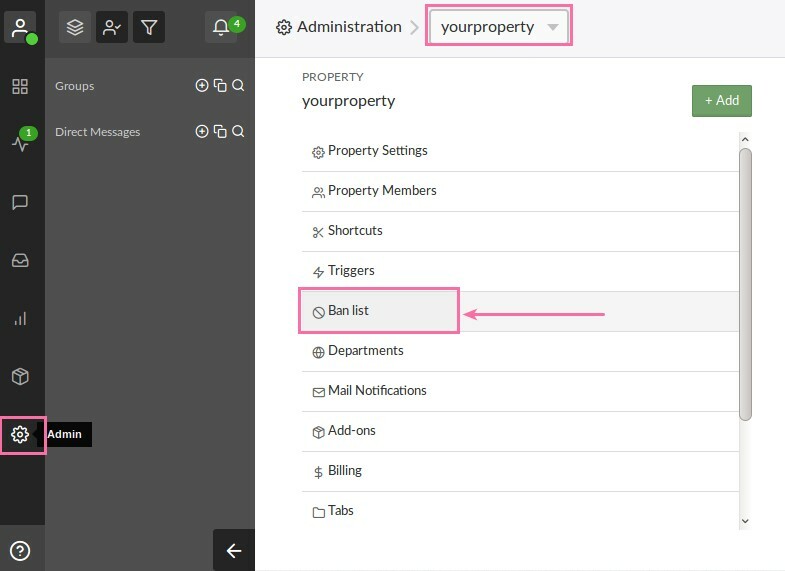 Then under Property settings click Ban List. You will see a Green button that says Ban IP at the Top Right of that screen. 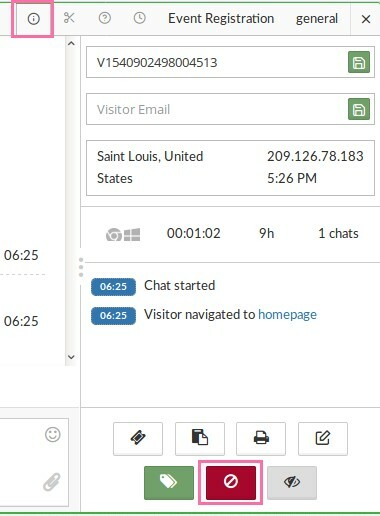 You can enter the IP address for that visitor and create the ban. To Remove a Banned Visitor from the Banned Visitor list click the empty box to the right of that visitor. A Delete Button will appear. Click the Delete Button to remove the ban.